If you have an arrhythmia, cardiac ablation may be the best treatment option. This procedure works by blocking abnormal electrical signals and/or destroying the tissue in the heart that is responsible for the abnormal rhythm. Although cardiac ablation is sometimes performed as an open-heart procedure, this is not necessary for most patients with arrhythmia. In most cases, the surgeon will simply insert catheters into the heart through the groin to perform the procedure. These catheters are used to deliver extreme heat or cold to specific tissues in the heart. These extreme temperatures modify the tissues and resolve the arrhythmia. Cardiac catheterization is a procedure that involves inserting a catheter into the heart in order to diagnose or treat a variety of cardiovascular conditions. The catheter, which is a long thin tube, is threaded into the heart through an artery or vein in your arm, neck or groin. In most cases, this procedure is performed while you are awake. However, you will be given medication to help you relax. 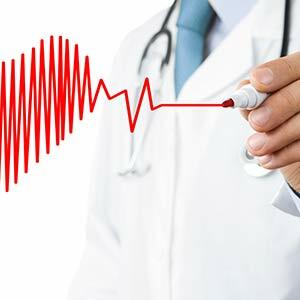 At Cardiovascular Associates, we use cardiac catheterization to find out whether you have diseases or conditions that affect your heart and blood vessels. 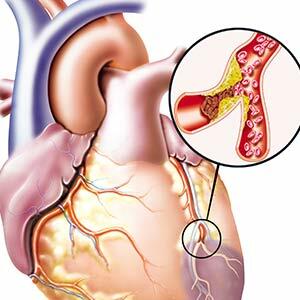 We may also use cardiac catheterization procedures to treat blockages in the blood vessels. 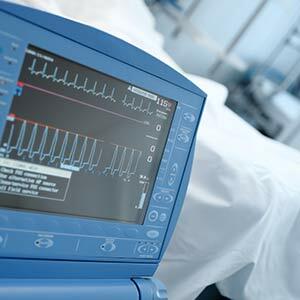 An implantable cardioverter defibrillator, or ICD, is a device used to prevent sudden death in patients with abnormal heart rhythms. If your doctor recommends an ICD, a small battery-powered device will be placed under your skin to keep track of your heart rate. The device will be connected to your heart with thin wires. If the device detects an abnormal heart rhythm, it will deliver an electric shock to your heart to return it to a normal rhythm. We may recommend an ICD if you have a history of long QT syndrome, cardiac arrest, heart attacks, certain congenital diseases or ventricular arrhythmia. 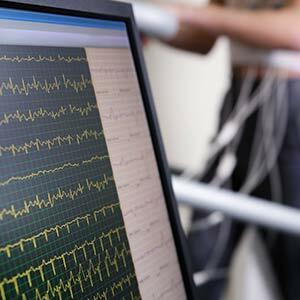 An electrophysiology study, or EPS, is performed to evaluate the electrical activity in your heart. We may also use this procedure when placing a pacemaker or performing cardiac ablation. During this procedure, wire electrodes will be threaded into specific parts of the heart via several catheters in the neck and groin. Once the electrodes are in place, they will be able to measure the electrical signals in the heart. In addition to measuring activity in your heart, we may also give you medications or use the electrodes to induce an abnormal rhythm in your heart. After the procedure is complete, we will recommend any additional tests or treatments based on the results. When your heart beats too slow, too fast or irregularly, we may recommend a pacemaker. 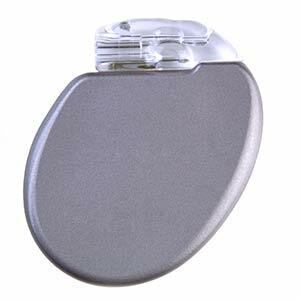 A pacemaker is a small device that is placed in the chest or abdomen to control your heart’s rhythm. The device is connected to your heart via thin wires. 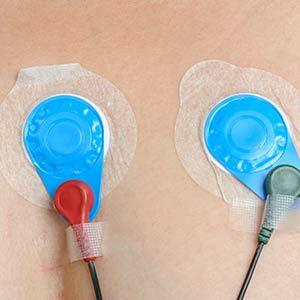 The electrodes on the end of these wires detect electrical activity in the heart continuously. When abnormal rhythms are detected, the device will send electrical impulses to the heart to correct the problem. If we determine that you need a pacemaker, a minor surgery will be required. If you have a pacemaker, ongoing care is essential to ensure that the device continues to work properly and that you don’t experience any complications. 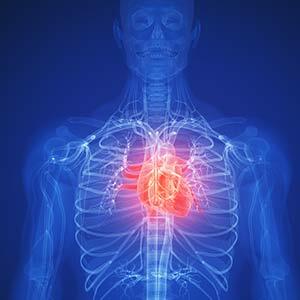 At Cardiovascular Associates, we will check your pacemaker on a regular basis to find out how well it is working. 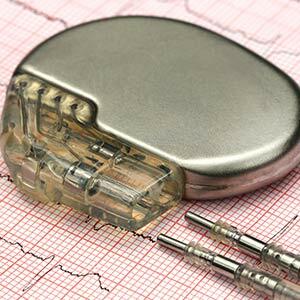 As your pacemaker’s battery wears out, it will stop functioning correctly. With periodic evaluations, we will be able to catch a worn-out battery early before it begins causing problems. If we determine that your pacemaker needs to be replaced, we will schedule a minor, low-risk surgical procedure to implant a new device. 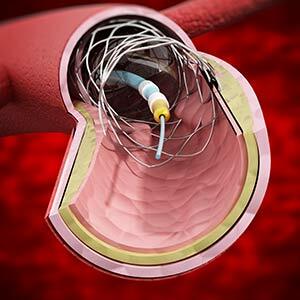 Percutaneous transluminal coronary angioplasty, or PTCA, is a procedure used to find and resolve blockages in the coronary arteries and restore normal circulation. During this procedure, your surgeon will thread a thin catheter through a blood vessel in the groin area. The surgeon will guide this catheter into the aorta, and dye will be used to locate any blockages. If a treatable blockage is located, a balloon will be inflated inside the vessel to compress the blockage and provide more space for blood to flow through. 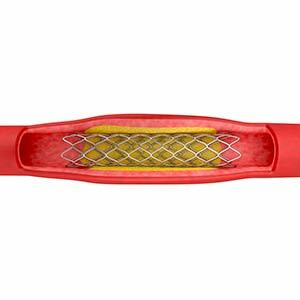 In some cases, a stent may also be placed to hold the vessel open. Peripheral vascular disease, or PVD, is a progressive disease in which the blood vessels outside the heart become narrow or blocked. This prevents proper circulation and may lead to a number of different complications. At Cardiovascular Associates, we can both diagnose and treat PVD. If we suspect PVD, we may recommend several different tests to confirm our suspicions, including angiogram, cardiac ultrasound and others. If we determine that you are suffering from PVD, we will prescribe treatments designed to improve your condition. Treatments we may recommend to patients with PVD include medication, angioplasty, vascular surgery and lifestyle changes. A stress echocardiogram, or simply “stress echo,” is a diagnostic test designed to determine how well your heart functions under physical stress. We may recommend this test in order to evaluate your risk of cardiovascular disease or to determine how well an existing cardiac treatment plan is working. During the test, electrodes will be placed in specific locations on your chest to monitor your heart. Before you begin exercising, the technician will perform an electrocardiogram (EKG) and/or an echocardiogram to measure your heart activity while you are resting. After this initial testing, you will be asked to exercise on a treadmill or a stationary bike while your heart is monitored. Once you have exercised for an appropriate amount of time, another echocardiogram will be performed. A stress test is a diagnostic procedure that evaluates how well your heart works when you exercise. During the test, we will measure your heart rate, blood pressure and breathing continuously. You will be asked to exercise continuously on a treadmill or stationary bike. As you exercise, your heart rate will increase and we may notice problems that aren’t evident when you are resting. At Cardiovascular Associates, we may recommend a stress test if we suspect a heart problem or simply want to learn more about your risk of developing heart disease. We may also perform a stress test to evaluate your progress if you are already being treated for heart disease. A transesophageal echocardiogram, or TEE, is a diagnostic procedure we use to look for abnormalities in the structure of the heart, evaluate the function of the heart’s valves and chambers or see how well the heart is working after surgery. During this procedure, a surgeon will insert a long, thin tube called an “endoscope” into your esophagus. This allows the surgeon to take detailed pictures of the heart that couldn’t be captured with a standard echocardiogram. In some cases, we may use this procedure in combination with Doppler ultrasound in order to obtain more information about the heart. 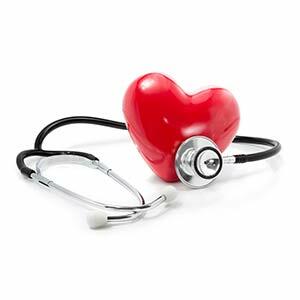 The medical community is always looking for new ways to treat cardiovascular conditions. Research trials provide doctors with valuable information that they can use to develop more effective tests and treatments for these conditions. In some cases, research trials may also improve outcomes for participants. If you are interested in participating in a research trial, the doctors at Cardiovascular Associates can help you find appropriate studies. Keep in mind that not every patient will be a candidate for a research trial. Your doctor will be able to help you identify research trials that you may qualify to join. 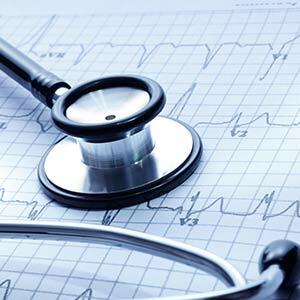 At Cardiovascular Associates, our doctors have extensive training in interventional cardiology. We offer all of the safest, most up-to-date catheter-based tests and treatments to our patients. We may use catheter-based procedures to diagnose different conditions affecting the heart, such as blockages. We may also use catheterization to evaluate how well the valves and chambers of the heart are functioning. If we identify a blockage in the heart, we may also be able to use catheterization to treat the blockage by inflating a balloon in the artery or by placing a stent in the artery to hold it open. 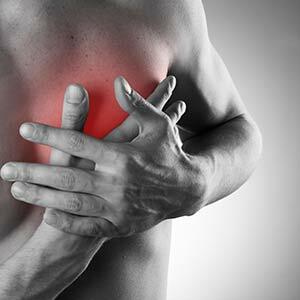 If your heart doesn’t beat at a normal speed, or if it beats irregularly, you may be diagnosed with an arrhythmia. If left untreated, this condition can cause a number of different symptoms and complications, including stroke and sudden cardiac arrest. Because arrhythmias can be serious, we recommend ongoing monitoring and treatment to any patient with this condition. 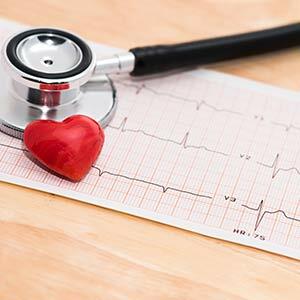 The arrhythmia specialists at Cardiovascular Associates will work hard to pinpoint the cause of your arrhythmia so that we can recommend the right treatment. We will also work with you to manage symptoms and monitor your condition to reduce the risk of complications in the future. 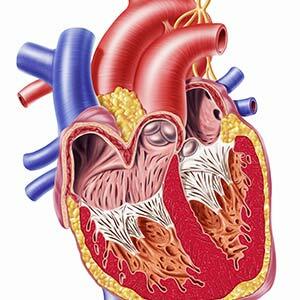 Congenital heart diseases or defects are abnormalities of the heart that have been present since birth. Although many of these abnormalities may be discovered in childhood, some may not become evident until you are older. In addition, many congenital heart diseases and defects will continue to affect your life as an adult. If you have a congenital heart condition, you may require ongoing monitoring and medical treatment throughout your life. In fact, even adults who have had a congenital heart defect repaired should continue to visit a cardiologist regularly. Depending on your specific condition, we may recommend a combination of regular checkups, medication, catheter-based procedures or surgical treatment options. 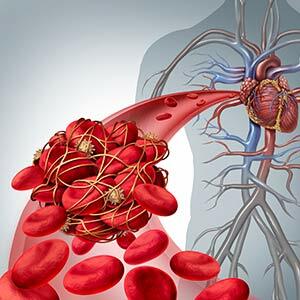 If you are at risk of developing blood clots, you may be prescribed Coumadin or another blood thinner to protect against stroke and other complications. However, even though this medication is necessary, it can also cause significant side effects in high doses. At Cardiovascular Associates, we monitor patients taking blood thinners very carefully to make sure that the concentration of the drug in the body doesn’t exceed safe levels. If your blood tests indicate that you have too much of the drug in your system, we will adjust your dosage accordingly. We will also take steps to correct any side effects or complications you may experience while on Coumadin. If your doctor wants to evaluate the flow of blood in the heart, he or she may recommend a cardiac nuclear stress test. This procedure uses nuclear imaging to visualize blood flow while you are resting and participating in physical activity. During the test, a radioactive substance will be injected into your veins, and special equipment will be used to collect images of the heart while you are at rest. You will be asked to ride a stationary bike or exercise on a treadmill, and your vital signs will be monitored. Once your heart rate has accelerated to an acceptable point, your heart will be scanned again.